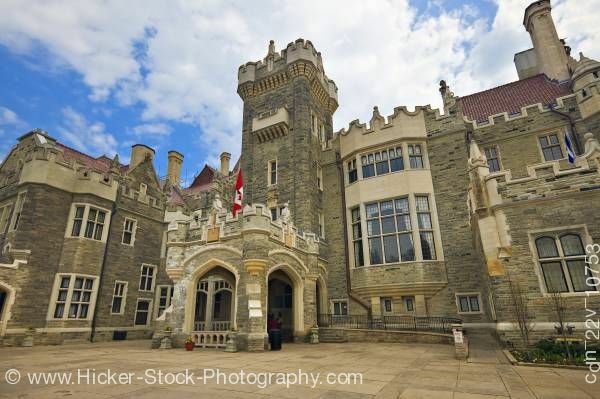 Stock photo of the exterior of the Casa Loma castle in the city of Toronto, Ontario. Exterior of the Casa Loma, a medieval style castle completed in 1914 in the city of Toronto, Ontario, Canada. This stock photo shows the amazing outside architecture of the Casa Loma castle in front of blue sky with some clouds.